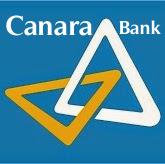 The Canara Bank has published Interview Call Letters for it's Probationary Officers Recruitment 2018. The Bank conducted Online Test on 23rd December 2018. Later, the bank has released the result and cutoffs on 15th January 2019. Now it has came out with the Interview & Group Discussion Call Letters for Shortlisted Candidates. The downoad link will remain active from today (24th January 2019) to 10th February 2019. Check below for more details.